Project done for Internet Layout & Design class. 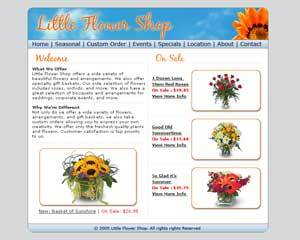 This is a photoshop comp of an imaginary online flower store. The focus was to lay the information out in a way that would be easy to parse, and lend itself to a flexible layout. Each part of the site should be clear, and logically placed, so that a user will not have to sit and think about his next step on the website.